This unbelievably soft Alpaca Mosaic Cowl Brown and Fuchsia is hand knit in soft alpaca, highlighted throughout with a mosaic pattern of variegated fuchsia colours. Ideally this Alpaca Mosaic Cowl Brown and Fuchsia, can be worn loosely around your neck or wrapped around for a snuggle effect. 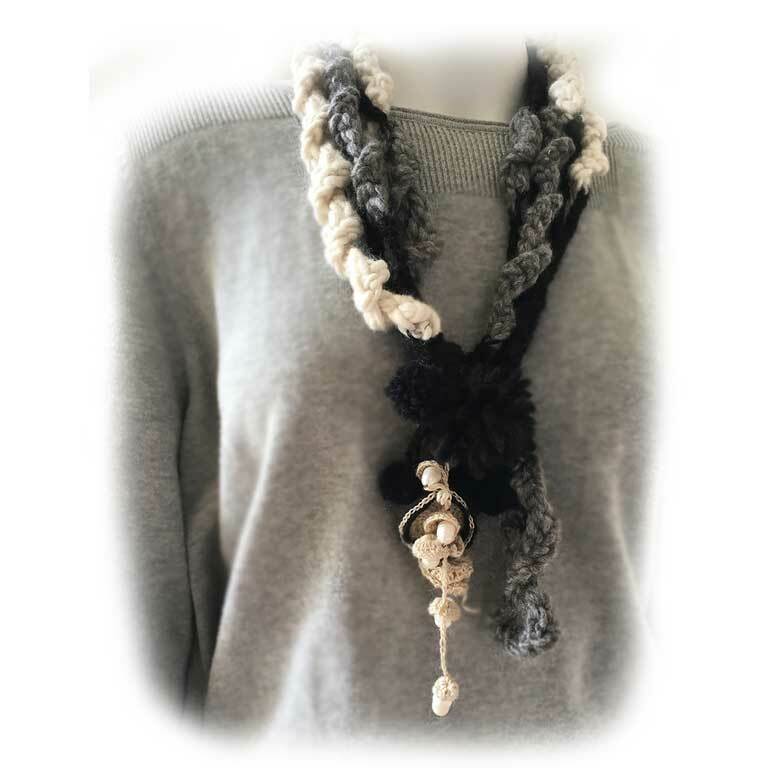 Wear it wrapped as two layers around the neck as show on our model or singly for a longer length. 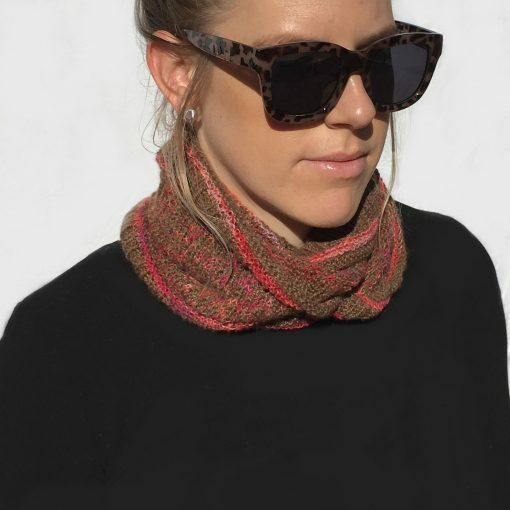 The colour mix used in this Alpaca Mosaic Cowl Brown and Fuchsia is perfect for a seasonal casual look, paired with your favourite jeans, jumpers, jackets and is equally stylish with your snow gear. 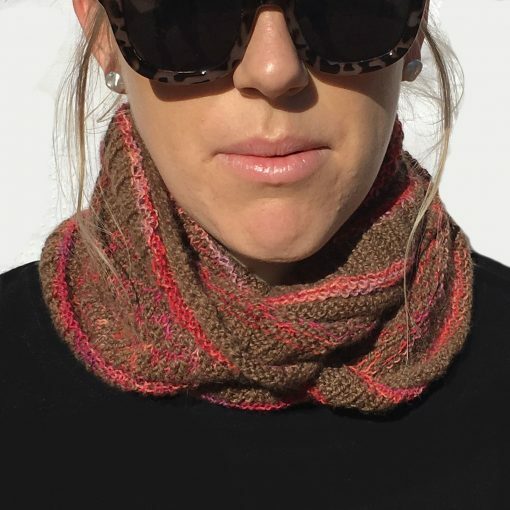 Complement your favourite “little black dress” with this unique hand knit cowl which is made from hand spun ORA Signature Yarn in natural alpaca highlighted teamed with hand dyed alpaca yarn. 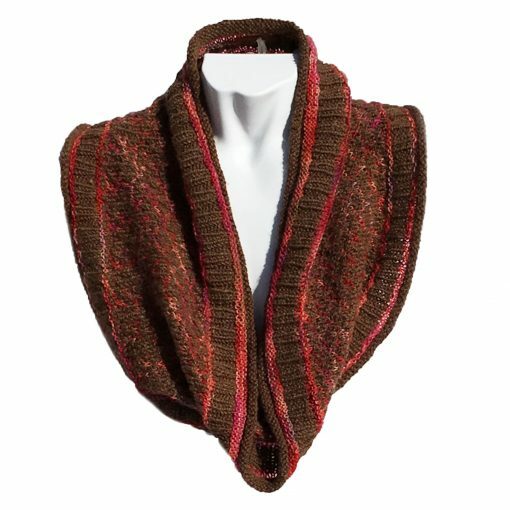 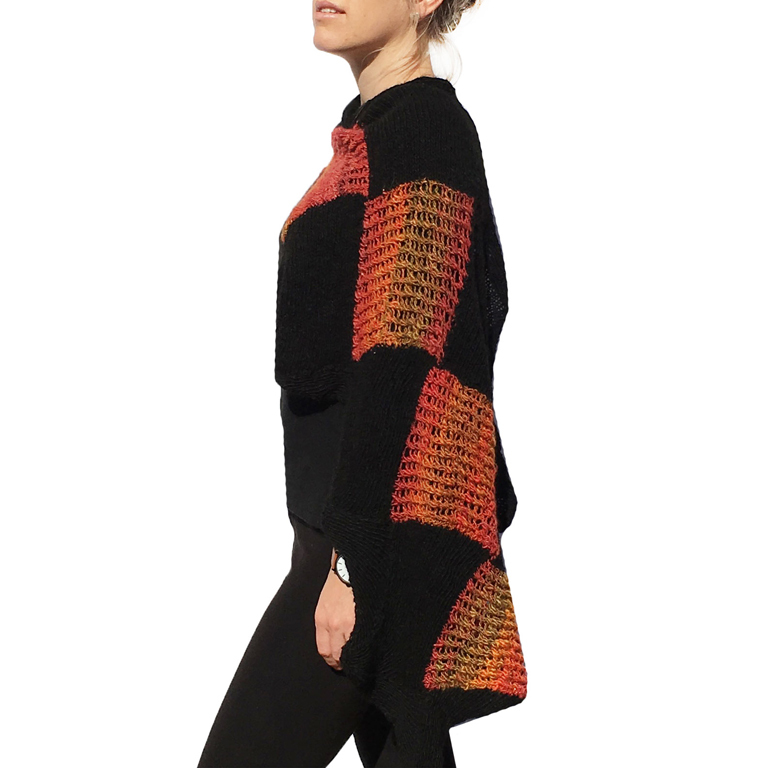 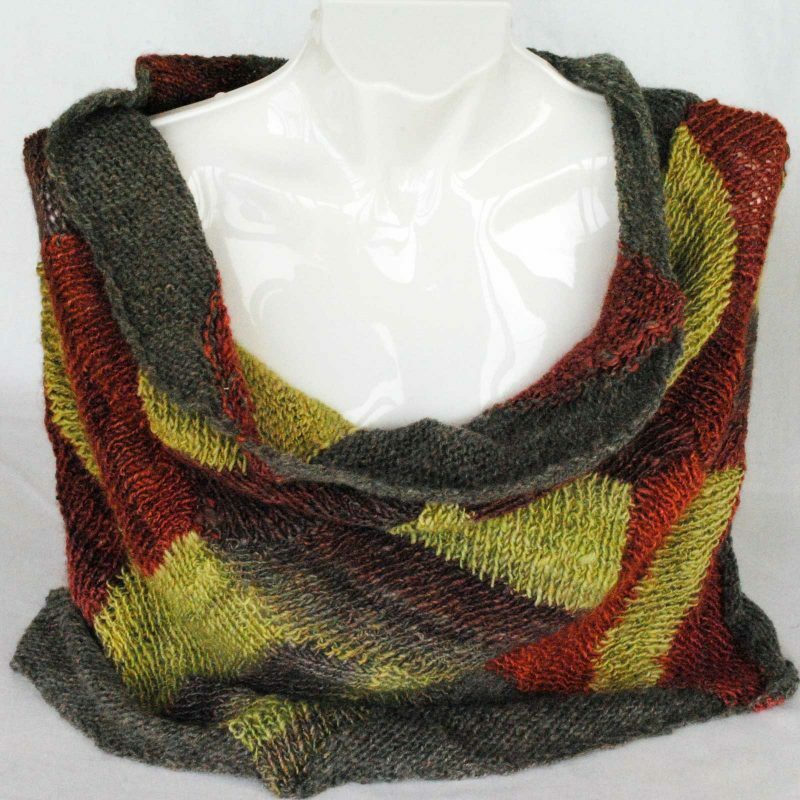 The Alpaca Mosaic Cowl Brown and Fuchsia is shown on our size 8 model wrapped as two layers around the neck.